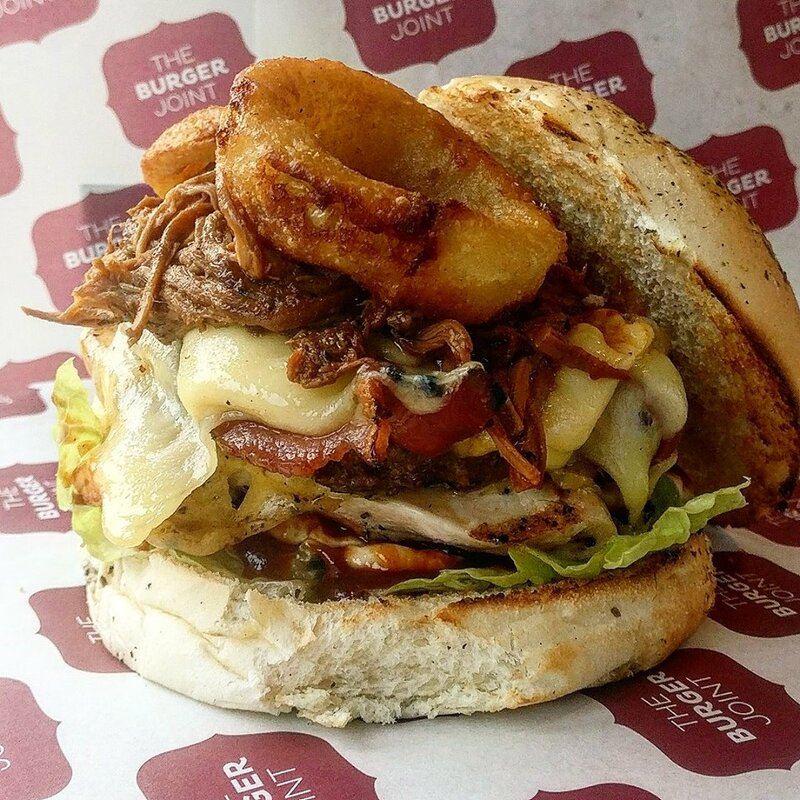 We specialise in great burger combos in our Bristol Restaurant! We don’t dictate what you eat (although we do make some recommendations to get you started). Our Build a Burger menu means that you choose between the types of bread we have, the type of burger you want, the huge range of sauces, toppings and sides so you end up with the great burger combo you want! Check out our menu here. We offer fresh, cooked to order food using local Bristol suppliers and we don’t compromise on quality or flavour. Our meat comes from Ruby & White and our bread comes from aclaimed bakers Hobbs House Bakery. However, we have had to source gluten free rolls from outside Bristol because we just weren’t happy with the standard of the bread we were getting. 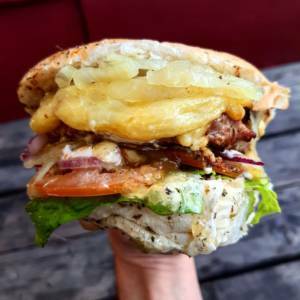 Our March special is a spectacular pork, apple and sage burger dripping with mayo and smoked Applewood cheddar. Awesome.